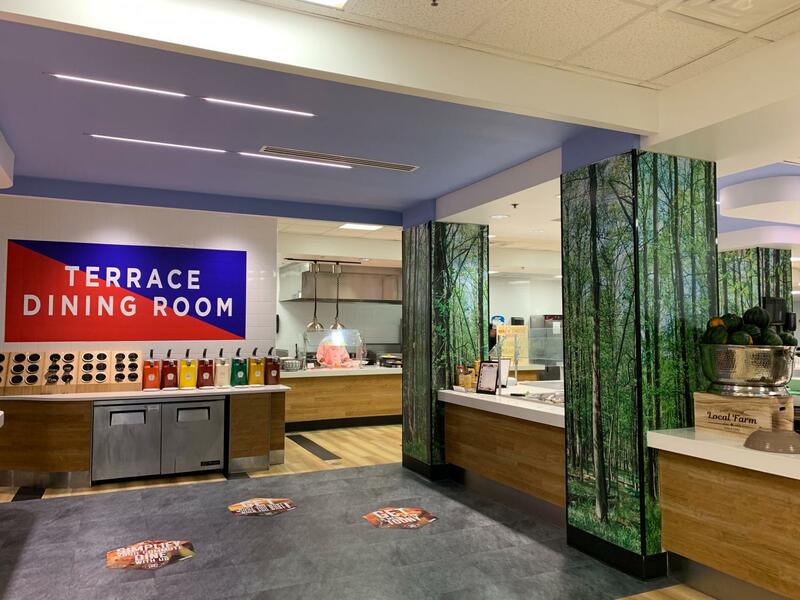 American University Terrace Dining Room (TDR). Last week, AWOL writer Noah Vehafric went to cover a public meeting held by the American University Dining Advisory Board. The topic of the meeting, and the reason he was there, was the controversy about next year’s proposed meal plans. However, upon arriving and identifying himself as a member of the student press, he was told to leave. He complied without argument and, regrettably, wasn’t given any justification. The meeting was open to the public. When student journalists are excluded from public places, they are treated as lesser than other students. It’s a violation of their rights as students to go wherever other students can. This doesn’t only hurt the student press; it hurts the students who rely on the information that student journalists report. American University cannot allow student media to be stifled because members of its administration do not want to be involved with controversies. For a university that claims to “foster and protect freedom of expression,” and markets itself as a progressive institution, this behavior is unacceptable. This isn’t anything new. For example, American University Police Department contacted AWOL’s student media advisor after one of our reporters reached out for an interview. The story, which was investigating AUPD’s holding cell, was done with standard professional courtesy. An AUPD representative told our advisor that the reporter had been “overly and unnecessarily aggressive.” The perceived aggression? Politely asking for a tour by email. Twice. The tour was repeatedly delayed until well past the deadline for the story. Noah is not the first AWOL reporter to be stonewalled and treated with prejudice by the university, and he certainly isn’t the first member of student media as a whole. We cannot stand silently by when members of the administration openly exclude and ignore us. We cannot allow student media to be suppressed and neglected. We won’t. We will continue. We will persist, and we condemn the university’s lack of transparency with student media in the strongest possible terms. AU Dining Services Director Ann Marie Powell, who asked Vehafric to leave, did not respond to multiple requests for comment.